As you might suspect, I subscribe to a lot of blogs and websites that deal with real estate issues. 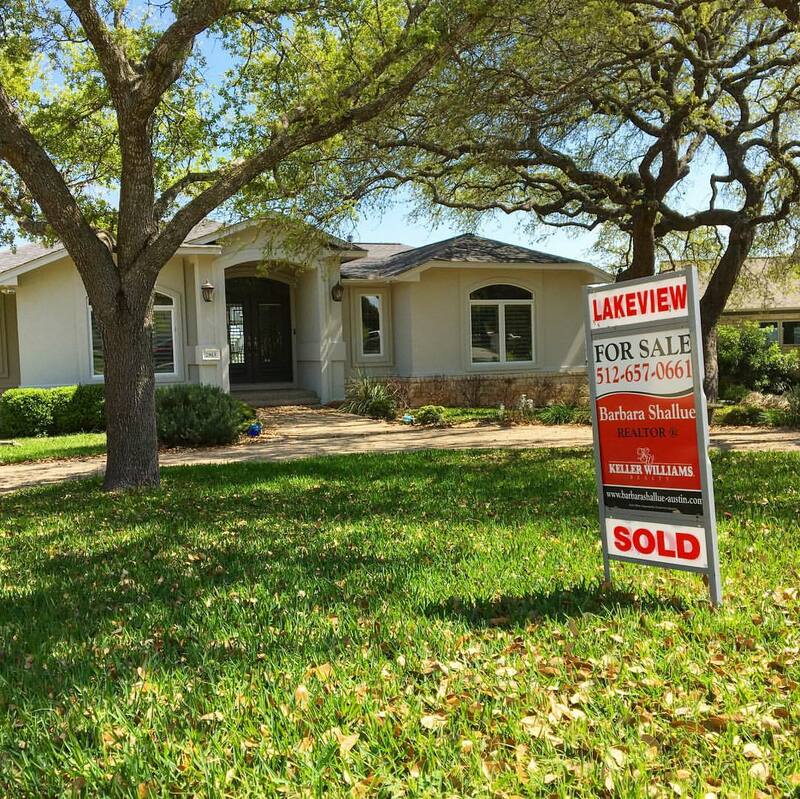 One article today from the Texas Association of REALTORS blog caught my eye – “Don’t Be Fooled By These 3 Selling Myths”. In conversations with people, I realize they have the impression that in a hot market, the seller can name their price and buyers will be lining up at the door. That’s true for a few properties, but only the ones who understand the importance of pricing their property right from the very beginning. Many sellers also believe that buyers are always going to offer less than the list price, so they are tempted to add some cushion. What they don’t realize is they are creating the scenario themselves. By pricing it high, they are setting themselves up for lower offers. On the other hand, if it’s priced right it will attract more buyers, creating competition and sometimes even drawing offers above the list price. Pricing isn’t just another form of marketing – it’s 80% of your marketing. It’s important to get it right from the beginning because the first 14 days your property is listed is the window of opportunity when buyers and their agents discover it and are most likely to visit and make offers. But how do you determine what the right price is? There are no crystal balls, unfortunately, and every house is unique in some way, but there are tools and data that REALTORS use to price a property. We have the multiple listing service which provides data such as sold prices, days on market, etc., and there are classes geared specifically toward pricing, such as those required for the Pricing Strategy Expert designation, which I have earned. To be clear… a REALTOR doesn’t decide how much your home is worth. The market does. It comes down to supply and demand, just like any other commodity. First there’s location. Next condition, especially first impressions. And then you have to take into consideration the competition. REALTORS will look at comparable properties that have recently sold and those that are also on the market. Fair market value isn’t determined by how much you originally paid for the property, how much you still owe on it, how much you need for a future home, or how much you spent on your new granite counters or wood floors or new hot water heater. If a buyer can get the same for less, or at least meet their needs for less, that’s what they will do. Buyers are reluctant to make offers on homes that are clearly overpriced. They fear insulting the seller, but also a high list price could indicate the sellers are going to be unrealistic through the whole transaction, making a potentially stressful experience even worse. Not to mention more days of having to keep the home show-worthy, of paying property taxes and mortgages and property owner association dues… and more days away from whatever dream or need enticed you to sell your home in the first place. Isn’t your time worth something? I admit this is a hot topic for me. I’ve been suckered into pricing a property too high initially way too many times, on the condition that we’ll lower the price after a week if we haven’t received an offer. Unfortunately, you often remain a step behind and never catch up if you don’t start out in front, at the right price, to begin with. It pains me to see my sellers so stressed and frustrated after too many days on the market… especially when they decide it must be my fault, despite my recommendations on pricing it lower. From now on, if a seller doesn’t seem to be realistic about pricing, I’m determined to recommend they find another agent, because I have a business to run. I want to help my clients, but I’m in this to make money for my family. Taking on a listing that is obviously overpriced is like throwing money down a well. Plus it takes time away from clients who are ready to team up and help you help them. Picture someone going car-shopping. They are looking at Cadillacs, but there’s also a Kia in the lot, priced the same as the Cadillacs. Out of curiosity, they investigate, but soon see the only thing it has in common with the Cadillacs is the price. It has none of the higher end qualities you would expect if you spent that much money. Sure, it’s a beautiful color, but why buy the Kia when you can have a Cadillac with all the bells and whistles?